Internet-Zugang über WI-FI in colllectif Netzwerkbildung oder Bar / Restaurant Voramar Erdgeschoss des Gebäudes, unter consomations kostenlos. Flachbild-TV 81 cm, mit USB-und HDMI ausgestattet. Alle Französisch DTT-Kanäle sowie eine Auswahl an internationalen Kanälen ..
German family 2 (3) adults + 2 children 22.12.12-5.1.13 the flat was perfect for us. Morning sun up to 1pm on the balcony, good heating system, very well equiped and clean. 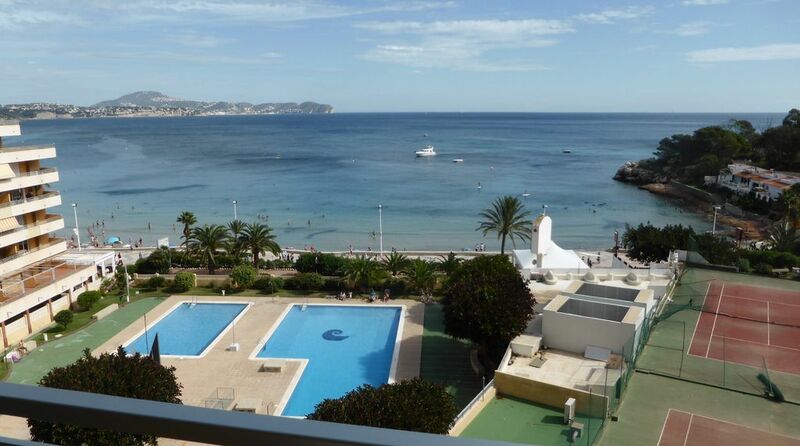 It has direct access to the nice beach + pool, supermarket near by. Nice view to beach, sea and penon de Ifach. Some nights we had a great direct view to the fullmoon above the sea. The owner is friendly and reliable. We would recomend this flat to good friends. You have good possibilities for walking in the mountains, freeclimbing and kitesurfing. Vue et confort apréciable même l'hivers.